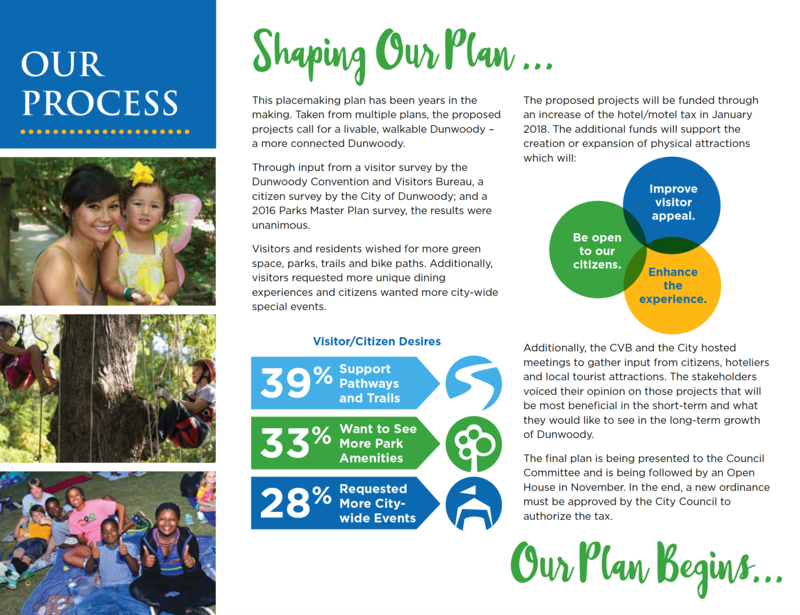 The City of Dunwoody and the Dunwoody Convention and Visitors Bureau needed a product that could explain its current and future investments into the City's parks and trails systems for its residents and visitors. 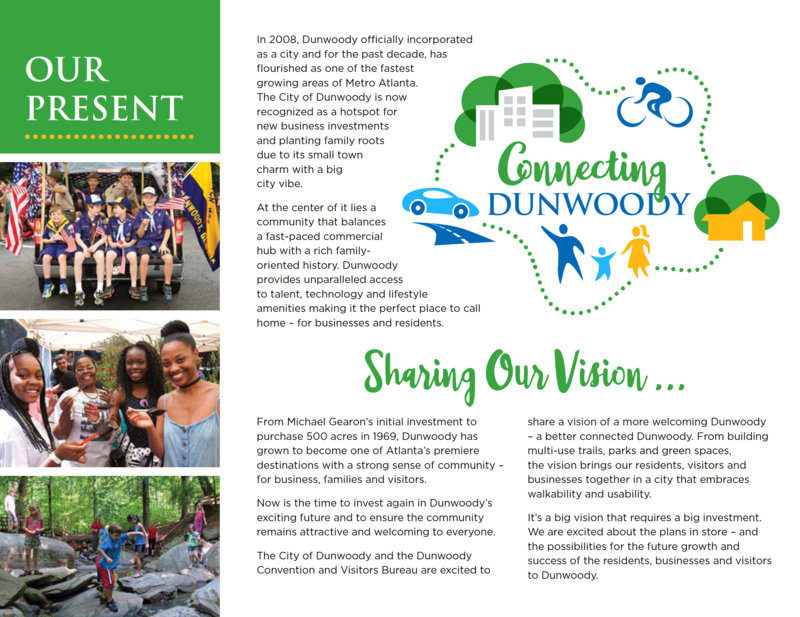 The City and the CVB wanted to share a vision of a more welcoming Dunwoody – a better connected Dunwoody. From building multi-use trails, parks and green spaces, the vision brings our residents, visitors and businesses together in a city that embraces walkability and usability. Design and develop branding for the placemaking plan. 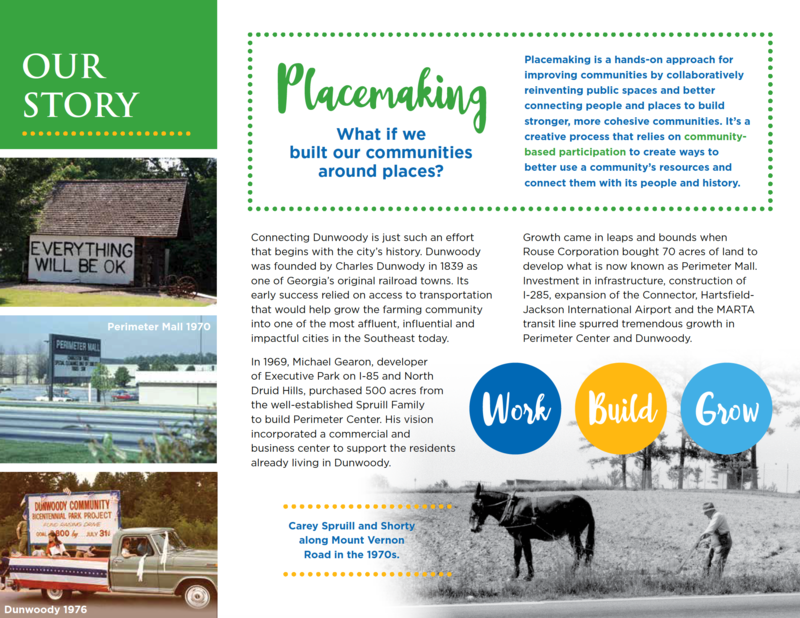 Use impactful photography and graphics to share Dunwoody's rich history, current city scapes, and future plans to make the City more connected. Write engaging copy that included sharing Dunwoody's story and its path to the high-energy business hub it is today. 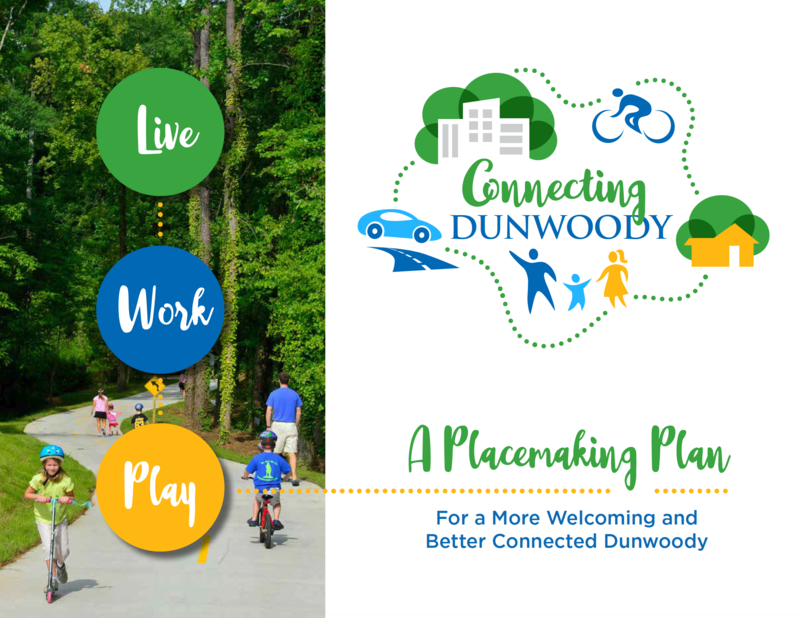 Design the City of Dunwoody Placemaking Plan book that will be shared with City Council members, visitors, businesses and residents. The logo created embodies all of the components that are important to the City of Dunwoody - families, businesses, walkability, and access. 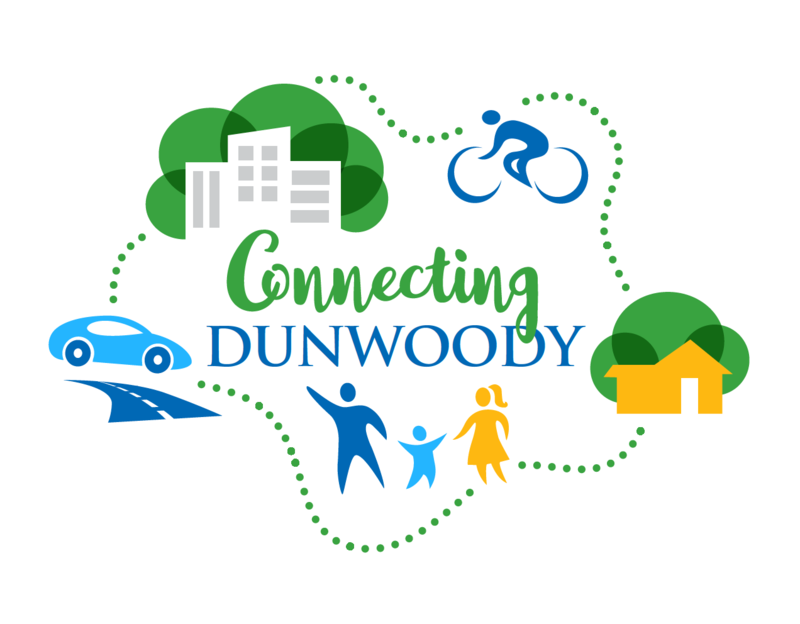 The name and logo capture the essence of the city's plan for investing in Dunwoody - to bring its residents, visitors and businesses together in a city that embraces walkability and usability. 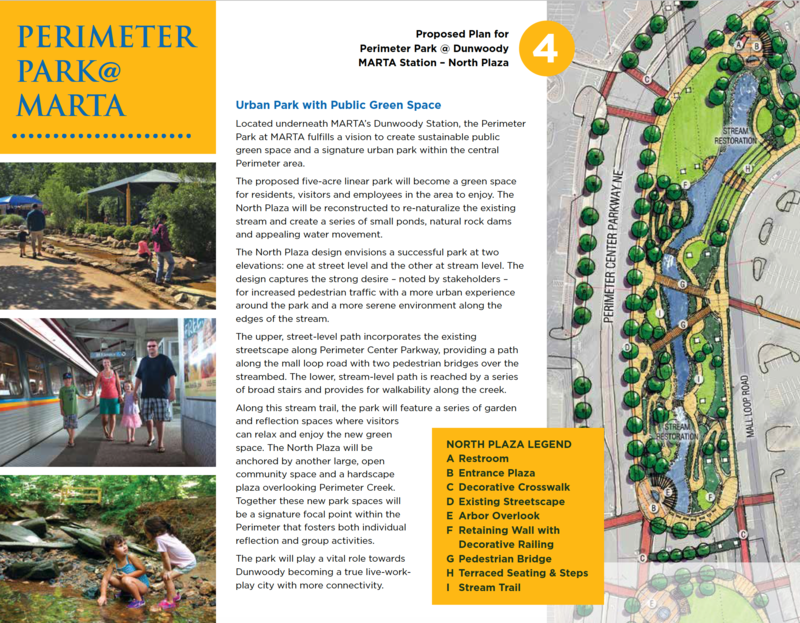 The font for Connecting emphasizes the "connectability" of the placemaking plan, while Dunwoody is in the font consistent with the brand of the City. The firm’s publication design and management services produced an impactful design with engaging photography and copy to share Dunwoody's past, present, and plans for the future.